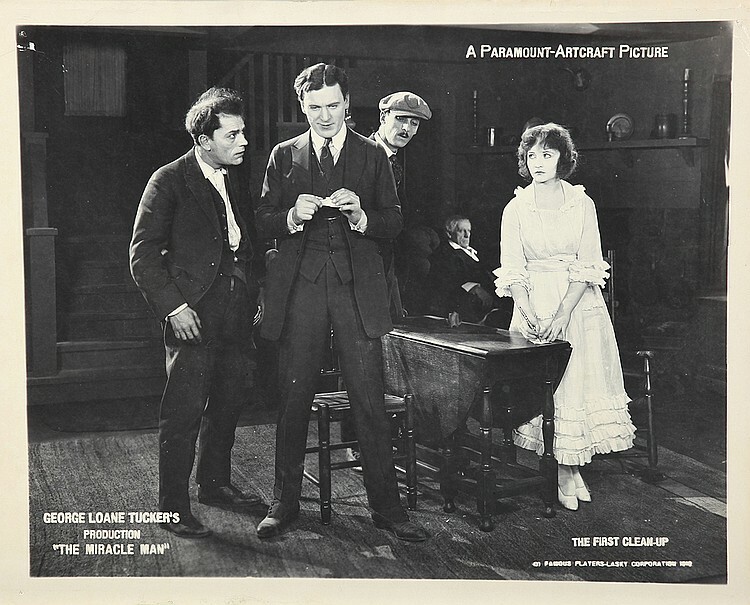 Naturally, like many other fascinating-sounding silents from the 1910s, The Miracle Man is lost. But in this case, fate has provided us with a rare silver lining. Thanks to compilation film The House That Shadows Built (1931), made in honor of Paramount studio’s 20th year, a couple minutes of footage have survived–including its most famous scene, where Chaney’s character pretends to experience a miraculous healing. Imagine if we had even one minute of London After Midnight! The Miracle Man was based on a play by George M. Cohan, which in turn was based on a vividly-written novel by Frank L. Packard. It centers around a gang of criminals in Chinatown: ringleader Tom Burke, con artists Rose and “the Dope,” and the contortionist “the Frog.” After reading a sarcastic news article about a faith healer who’s revered by a small town, the gang hatches a plan. They decide to hide out in the town and have the Frog could pose as a cripple. Once he fakes his “miraculous” cure by the faith healer (who’s deaf, dumb, and partially blind), they could then swindle the townsfolk into giving them money (supposedly for a chapel). But to the gang’s shock, after the Frog pulls his convincing stunt a small boy does receive a miraculous healing. And as news of the uncanny events spread throughout the country, each of the gang members begin experiencing their own healing from their lives of crime. As a study in genuine human beings, as an exhibition of the instinctive triumphs of the better nature when that better nature has a chance, as a perfect fabric of life as it is lived–alternately funny as a Chaplin and pathetic as a Warfield scene–and as an adroitly constructed drama, rising from climax to climax and never missing a telling point, I do not recall that the silver sheet has ever offered anything any better than this, and few pieces as good. Rose and “The Patriarch” (plus dog). In a time when a film’s “run” in most theaters was usually only a couple days, in many areas The Miracle Man played for a whole week. Some cities–such as Pittsburgh, Thomas Meighan’s hometown–showed as long as two. It was likely the top grosser of 1919. And, of course, its success was also due to its excellent cast. The three main leads virtually owed their careers to its popularity. Meighan (who had gotten the rights to Cohan’s play of The Miracle Man) was propelled to matinee idol status almost overnight. Betty Compson, who had mainly appeared in Christie comedies, was able to use her newfound stardom to start her own production company. And Chaney, of course, became a household name. People were deeply impressed by this “Dr. Jekyll and Mr. Hyde of pictures,” who had such an extraordinary command of body language and makeup. It was agreed that no other actor could’ve done “the Frog” justice. This fame would result in his starring in The Penalty (1920), The Hunchback of Notre Dame (1923), The Phantom of the Opera (1925), and other screen classics. He had been in a number of films prior to 1919, but The Miracle Man was essentially his big break. And fortunately for us, the Frog’s “healing” scene is one of the scenes that survived all these decades, allowing us to get a glimpse of what was perhaps Chaney’s most seminal performance. Of the many, many lost films out there, there are a few that remain high on my list–including A Country Hero (1917), Saved From the Titanic (1912), Robert Harron’s Coincidence (1920), The Greatest Thing in Life (1918), and of course, Cleopatra (1917). The Miracle Man is near the very top. Not only was it an important piece of cinematic history, but it has one of the most intriguing stories of any 1910s film I can think of. And yes, I admit I’d like to see it just a wee bit more than London After Midnight. This post was written especially for the Classic Movie Blog Association‘s fall blogathon–a big welcome to any new readers who might be dropping by! This year’s theme is “Outlaws”–focusing on films about gangsters, cowboys, fugitives and various other kinds of lawbreakers. I’m proud to be a part of this fine association, and urge you to check out all the posts by its talented members! 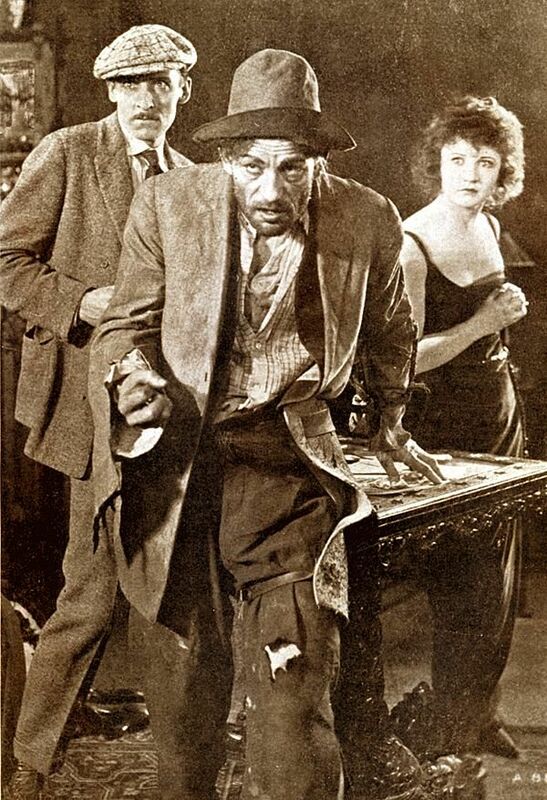 This entry was posted in Blogathons, Exploring the Silent Era, Lost Films and tagged 1910s, Betty Compson, blockbusters, Classic Movie Blog Association, George Loane Tucker, Lon Chaney, lost films, silent drama, The Miracle Man, Thomas Meighan by Lea S.. Bookmark the permalink. Your wish is the wish of many and if we close our eyes tight and wish on the bright star maybe we’ll all be real boys – oops! – maybe that unsearched attic will reveal The Miracle Man to us. 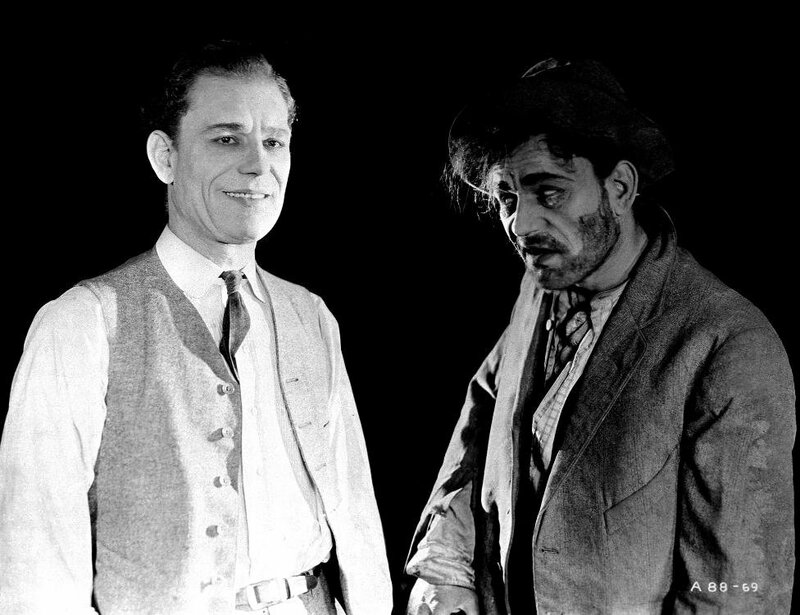 I am a big fan of Lon Chaney. I have everything of his that’s available. I fervently wish this and London After Midnight could be found. It was so hugely popular back then, there’s gotta be a copy or two that survived somewhere…! We can only hope (and pray). Anyhow, thanks for your excellent writin’ and research! New Silentology posts always make my day! Isn’t it wonderful that the most important scene survived?! It’s kind of uncanny, actually. You can see why it made Chaney so famous–when his “crippled” body untwists, you can almost feel it yourself. Thank you so much for this post. It’s the second post today for the blogathon regarding a lost film and Thomas Meighan (the other being The City Gone Wild). So wonderful to be able to – at least – see some surviving footage. Not all lost films were as lucky. A fantastic piece and wouldn’t be incredible to finally see this film after all these years. I wrote a rebuttal recently to Charles Epring’s article that the loss of many silent films was nothing to stress over and used The Miracle Man as an example to back up my argument. You reflected so many of my own thoughts! Really enjoyed your article and keeping toes and fingers crossed that someone somewhere somehow finds The Miracle Man – a miracle in itself! Thanks for this great article about film preservation and a lost film. It’s actually kind of amazing that the one scene we do have from The Miracle Man is so pivotal to the film and such an amazing display of Chaney’s singular talents. There’s never been anyone like him, before or since. Absolutely–when we consider what an influence Chaney was on acting, on fellow actors, and even on the horror genre itself, that clip has very deep historical significance. What a great job you’ve done capturing what’s fantastic about this film even without viewing it! I’m so intrigued, and though I haven’t heard of it before, now find myself plotting for its return. Thank you. Wonderful post—sounds like it would make a fantastic night at the cinema—both today and 100 years ago. I was fortunate to have see the 1931 Paramount film at Capitolfest this year. Those lost films are like ghosts—we’re haunted by only a tiny but intriguing bit of substance. Indeed. Even the silents that survive often have something ghostly about them–often the props, costumes, sets, and of course actors are all long gone, leaving only those images on the nitrate. That is AWESOME, I’ll definitely have to check those out! Hi brilliant article. Could you please tell me exactly which issue of Motion Picture News, 1919 you came across for the two-page spread piece please? Hi Daniel! The issue was September 13, 1919.